Check out the two-ball break and three-ball break tutorials if you haven’t already. You may want to watch the croquet shot videos first, particularly if you don’t know what a drive shot or half roll shot is. The four-ball break is even easier to play than the three-ball break, although the pattern is a little more complex. 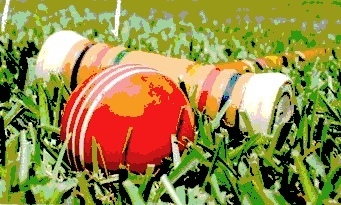 As with the three-ball break, you always keep a ball at your current wicket and the next wicket. The fourth ball goes in between as a pivot ball. Correct placement of the pivot ball eliminates the need for difficult split-roll shots, and is the secret to the four-ball break. You may not always be able to creat a four-ball break, but when you do, it is by far the easiest way to score all the wickets for one ball on one turn.